Why is it that we love to be frightened? Is it the euphoric relief afterwards, or the excitement that gets our hearts pumping? it’s that unique combination of fun, fear and friendship, that make Halloween parties extra twisted. Your guests will remember your party; probably in their nightmares! with these scary Halloween games. 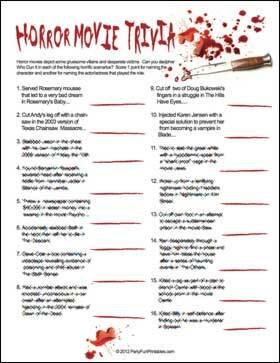 the right Halloween party game ideas for your crowd. 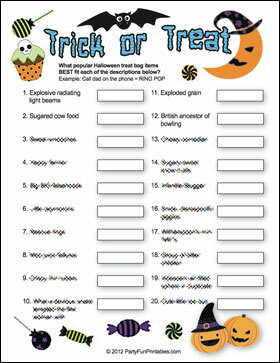 Fun Halloween Ideas that will Boo you Away! Have you visited our Facebook page already? 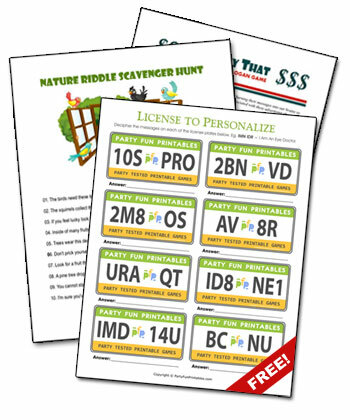 It helps you to keep track of everything we do at PartyFunPrintables. 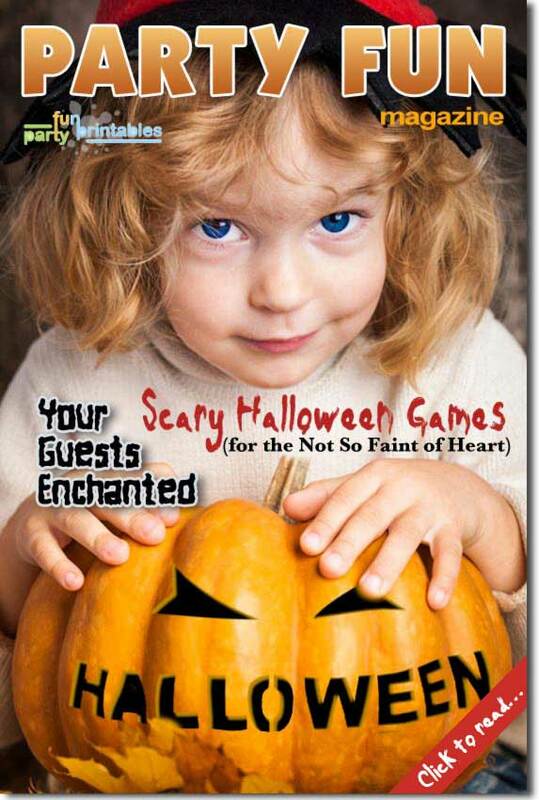 We'll post new printable game releases there, of course the new edition of PARTY FUN MAGAZINE, and it allows us to keep in touch with you! We'd really love it if you come by and check it out. Go to our Homepage, and click on Like (look at the left). We hope you zoom by at Facebook! To stay in summer style, here are 3 games we released recently. Hope you enjoy! How it's played: your party guests will have a fun time thinking up the name of the candy gifts that fit the mysterious descriptions given. Can they guess that Sugary-Sweet Know-it-alls are actually Smarties? 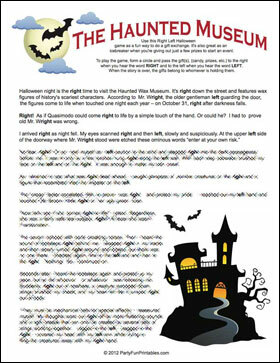 How it's played: Use this Right Left Halloween game as a fun way to do a gift exchange. It's also great as anicebreaker when you're giving out just a few prizes to start an event. To play the game, form a circle and pass the gift(s), (candy, prizes, etc.) to the right when you hear the word RIGHT and to the left when you hear the word LEFT. When the story is over, the gifts belong to whomever is holding them. If you enter the coupon code " HALLOW33N " at checkout, you will get a 25% discount over your entire order! 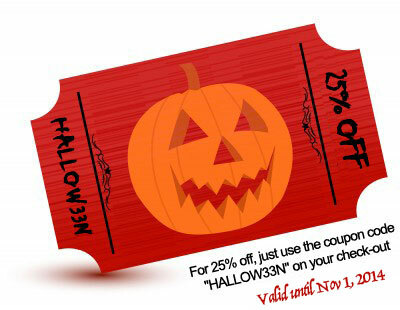 This coupon code is valid until Oct 31st, 2012. That's it for now! Please drop by every now and then, either at PartyFunPrintables.com or at our Facebook page. Below is important information with which you can manage your subscription.